Numerous studies have shown that meconium specimens are too often unavailable for substance exposure testing. Universal collection of umbilical cord specimens offers a solution. Unable, despite her best efforts to shake her addiction, a woman exposes her unborn child to drugs in the womb. The baby is born, healthy and beautiful with all the promise the future holds. Three days later, the withdrawal symptoms kick in. The baby wails, flush with the pains of withdrawal and inconsolable, unable to sleep, experiencing seizures. The NICU physician wants to know what the baby has been exposed to, but now it’s too late. The meconium has already been passed and discarded, and the umbilical cord is gone, lost opportunities for concrete answers. Now it’s a guessing game. This isn’t just a “what-if” scenario, unfortunately, but a potential reality in a surprisingly large number of newborn substance exposure cases. Withdrawal symptoms in substance exposed newborns can be delayed up to three, five, even seven days after the baby is born. Cases of in utero barbiturate exposure may not manifest withdrawal signs until 14 days post-delivery. By that time it’s too late to test any of the baby’s specimens for biomarkers of substance exposure, because the specimens are gone. Universal collection of umbilical cord specimens offers a solution to avoid this dilemma. Umbilical cord is the only universally available specimen for substance exposure testing. Numerous studies have shown meconium is not available for testing in up to 27% of births. Meconium may be passed in utero. In some cases, there is not enough meconium volume to test even when it is able to be collected. And again, meconium may have been passed by the newborn and discarded well before they begin to exhibit withdrawal symptoms. Unfortunately, this can also be a problem when the signs of in utero substance exposure emerge after the umbilical cord has been discarded. 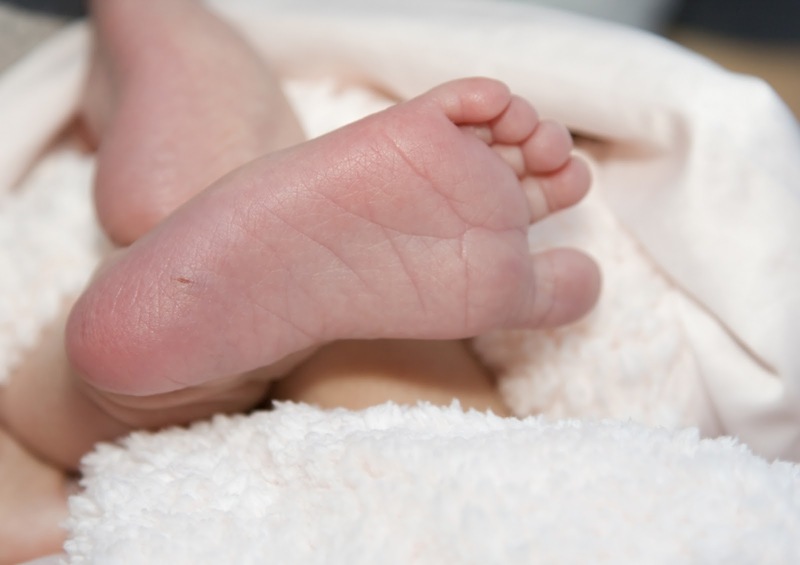 Newborn urine testing is not a viable option in these cases, because urine provides only a 1-3 day window of detection for substance exposure biomarkers, compared to the 20 week look-back of umbilical cord. Universal collection of umbilical cord specimens for every birth ensures there are no lost opportunities should the need for substance exposure testing arise. Umbilical cord collection is extremely easy, requiring very little additional effort during post delivery procedures. Only six inches of the cord is required for substance testing, taking up very little storage space. Umbilical cord tissue is a very stable and reliable specimen. Cord tissue is stable up to 1 week at room temperature, and up to 3 weeks when refrigerated, without jeopardizing the testing results. This is ample time for the emergence of newborn withdrawal symptoms, even in the most extreme cases. Enough time to avoid a missed opportunity for real answers. Only one donor and one collector are present during the umbilical cord collection - in contrast to the multiple collections and multiple collectors involved with meconium - greatly improving chain-of-custody integrity. Umbilical cord specimens are ready for transport just minutes after the birth, greatly improving turnaround time for results reporting. Meconium passages can be delayed for days before being sent to the lab. 1. Arendt, R., Singer, L., Minnes, S. and Salvator, A. (1999). Accuracy in detecting prenatal drug exposure. Journal of Drug Issues. 29(2), 203-214. 2. Ostrea, E., Knapp, D., Tannenbaum, L., Ostrea, A., Romero, A., Salari, V. and Ager, J. (2001). Estimates of illicit drug use during pregnancy by maternal interview, hair analysis, and meconium analysis. Pediatrics. 138, 344-348. 3. Lester, B., ElSohly, M., Wright, L., Smeriglio, V., Verter, J., Bauer, C., Shankaran, S., Bada, H., Walls, C., Huestis, M., Finnegan, L. and Maza, P. (2001). The maternal lifestyle study: Drug use by meconium toxicology and maternal self-report. Pediatrics. 107(2), 309-317. 4. Derauf, C., Katz, A. and Easa, D.. (2003). Agreement between Maternal Self-reported Ethanol Intake and Tobacco Use During Pregnancy and Meconium Assays for Fatty Acid Ethyl Esters and Cotinine. American Journal of Epidemiology. 158, 705–709. 5. Eylera, F., Behnkea, M., Wobiea, K., Garvanb, C. and Tebb, I. (2005). Relative ability of biologic specimens and interviews to detect prenatal cocaine use. Neurotoxicology and Teratology. 27, 677 – 687. Our research work on alcohol biomarkers can be read at www.usdtl.com . Look under the News category or search our research library. Feel free to contact us at 1-800-235-2367 for more information. Video links from "The Doctors" re: Newborns Exposed to Drugs And Alcohol in The Womb. Registered nurse Linda West and fellow Angels in Waiting nurses join The Doctorsto share their experiences fostering abandoned methamphetamine babies. OB/GYN Dr. Lisa Masterson explains how using methamphetamine while pregnant affects a growing fetus. Where are the babies now? USDTL CordStat® definitively confirms opioid exposure. Many NAS babies are poly-substance exposed in utero. CordStat 12 and 13 drug panels identify the majority of opioids along with many drugs often associated with NAS. Positive results are an objective measure and often times the only flag that baby’s home life may need extra care. Go to www.USDTL.com to learn more. · WSAZ Huntington, W. Va.
· USA Today reports in florida, the number of babies with withdrawl syndrome is up 26% from 2006. Drug and alcohol abuse occurs in all segments of society. A recent survey from the Substance Abuse and Mental Health Services Administration reported that among pregnant women, aged 15 to 44 years 4.4% used illicit drugs in the previous month, 10.8% reported alcohol use, and 4.7% admitted binge or heavy drinking. Substance abuse is a contributing factor to a variety of developmental and behavioral conditions. A substance abusing mother is more likely to neglect her newborn. Pregnancy may be the one time in a woman’s life when she would be open to treating important issues like drug and alcohol abuse. Addiction is a serious disease that can improve with treatment. Current identification methods rely on maternal self-report, use of a universal screening tool, or positive urine toxicology results. Maternal self-report may be limited by concerns about social stigma or possible legal implications. Screening tools require skill and training to develop effective interview techniques. Urine toxicology is not an effective tool in identifying alcohol abuse and has limited value with drugs. With the exception of marijuana, urine generally provides a 1-3 day window of exposure for illicit drug use. Therefore; the most effective antenatal drug or alcohol treatment program includes objective drug testing to monitor relapse. Drug and alcohol toxicology test methods are a key component of any treatment program. USDTL offers customizable drug test panels in a variety of sample matrices, hair, nails, blood, urine, oral fluid, meconium, and umbilical cord sections. The laboratory provides a confirmed test result for a specific drug or metabolite. The unique test panels help identify a growing problem of polysubstance abuse. Visit our website at http://www.usdtl.com/ for more information. Bob Demaree, Clinical Projects Manager at USDTL is at The Fetus & Newborn: State-of-the-Art Care conference in Las Vegas, NV this week. He welcomes every attendee to stop by and learn more about our newborn testing. More importantly our newest assay which can measure an alcohol biomarker in umbilical cord tissue. A positive result from our CordStat EtOH is an indication of risky alcohol drinking behavior in the last two to four weeks of pregnancy. To find out more call customer serivce at 800.235.2367.